I firmly believe in making writing as one's habit and expressing views as very important for achieving success in life. I view Writing as Meditation. A "Business Analyst" by profession and an "Author" by passion. With a strong publication background, I do hold the credit for having my articles published locally as well as International Level. With words as our tools of thought, I feel one should keep the channel of communication open by reaching the minds of our readers. 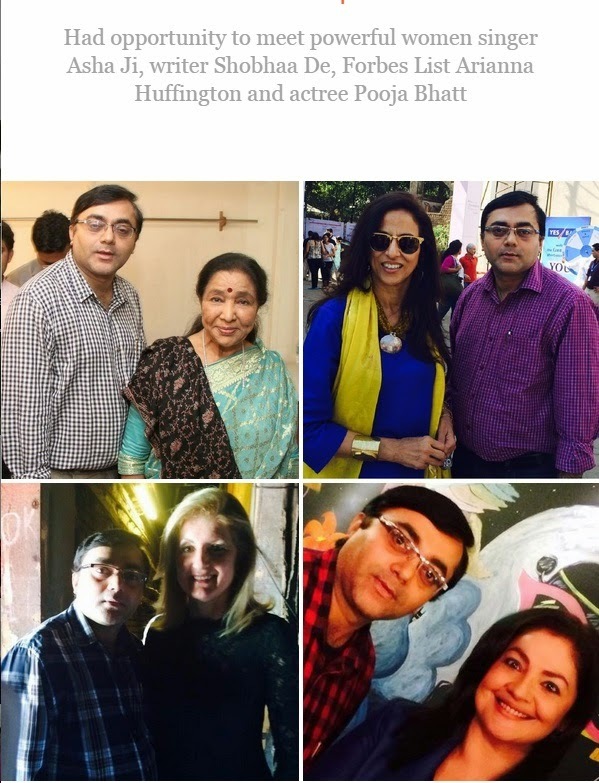 Defining Moment 2014 - Had opportunity to meet some powerful women which included singer Asha Bhosle, prolific writer Shobhaa De, Forbes List Powerful Women Arianna Huffington and actress Pooja Bhatt .